Every once and a while I search ‘knoxburry’ in soulseek to see how accessible I am in that network. I was pleasantly surprised to see my track from this compilation show up! It meant that it was finally released!! The official release page is here. But I found spam on forums first when googling for the damn thing. We’ve got some reviews on WATMM and xltronic and overall they are positive. I’ve known for a long time that IDM/breakcore enthusiasts often don’t enjoy chipmusic even though there are many artists who jump back and forth between these mediums. My track is ‘alberto balsalm’ and I am not totally satisfied with my effort. There is a section of the song I just could not get the chords right no matter what I tried. But that’s ok, I suppose. I did my best to catch the essence of the song and the rhythm is spot on. I substituted the wooden chair squeak with the Legend of Zelda’s “the dungeon boss is in the next room” sound. 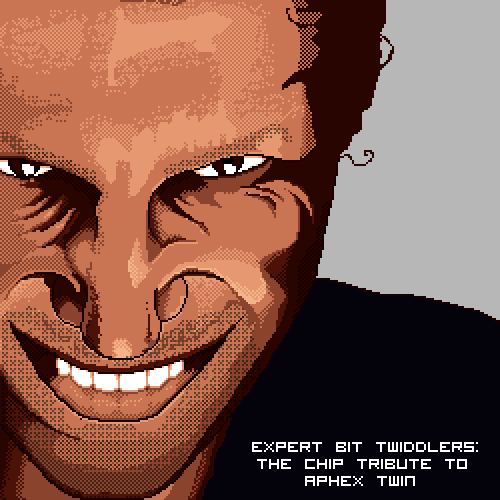 And, so, you can see that these Aphex Twin fans don’t know the difference between the Commodore 64 SID chip and an NES with a VRC6 expansion (what I used). Of course you can’t expect people who are :spiteful: against simple square waves to know the difference. Comments on chiptune forums like chipmusic.org and 8bitcollective.com don’t even touch what systems or methods were used. What I don’t get is why Aphex Twin lovers won’t allow themselves to enjoy such a tribute with his early history of frankenstein hardware. How is programming antique hardware that different? Much respect to Emar for organizing and hosting this compilation!